We all hear statistics like 70% of seniors over 65 today will need long term care during their lifetime. However, the vast majority of families do not discuss their estate plans with one another. The discussion of estate planning can be taboo and stem from long-held cultural beliefs. My parents have always been extremely private about money matters and certainly about their estate plan. • Long Term Care spending down assets and ultimately costing the home. • Passing away without a will and having the State pass property other than what may have been intended. • Failing to take advantage of benefits such as Veterans Pension of which they are unaware. How to broach the subject? A parent, child or other family member could simply dive right into the matter by bringing up the subject of estate planning and asset preservation. This could be easier said than done, however, depending on the family culture and taboo nature of this subject. However, sometimes the medicine doesn’t taste great but needs to be taken anyway. This is often the case with estate planning, elder law and asset preservation. Perhaps on a holiday when the family is all together the discussion could more easily be had. In my practice I found that getting families to open up about estate planning is sometimes hard. To remedy this I wrote a book on different aspects of estate planning and aging in America to assist seniors and their families. “Saving the Farm” could be a great gift and way to start a family member in your life thinking about saving their hard earned money and property. Available on Amazon or at: mcelderlaw.com/savingthefarm. How to plan for a Long-Term Care event and How to Pay For it? Is there a chance Medicaid will pay for a long-term care event? But how do you qualify? People think they must spend down everything to qualify for Medicaid. First, Medicaid Crisis Planning, (Long Term Care Crisis Planning). Protecting the house is many peoples main concern because it’s their major asset. One of the ways to protect the house is with a Ladybird Deed. A Ladybird Deed not only protects your house, it allows you to stay in control of your property for the rest of your life. Then, when you and your spouse have passed on, that deed can be directed to your children. The Medicaid look back period. A Ladybird Deed is a beautiful thing because it protects your house immediately. Then there is no look back period for Medicaid to come in and pay for long term care. With a Ladybird Deed in place, you could apply for Medicaid directly after putting that protective deed on your property and it will save it. Medicaid knows they cannot go back and take your house, ever. But don’t you have to spend down below two thousand dollars? That’s true if there is nursing home or assisted living care. However, if there is a spouse, you can protect most of the money immediately, if you know how. There are multiple strategies to protect as close to one hundred percent of your money. Don’t just throw your money away or spend it down. If you do, it’s gone. You’ve worked your whole life for that money and paid taxes on it. If your spouse needs care, you don’t want to lose everything to pay for it. We can also save other properties you own and you may still qualify for long term care or special assistance Medicaid. Many people tell me they feel hopeless. They believe they will lose everything, but we can change that. When you leave a consultation with me, you will feel empowered. You will know how to pay for nursing home or assisted living care, and how to save your house and retirement. We can talk about protecting your assets ahead of time with a Medicaid Asset Protection Trust or Deed Planning. This involves writing your Will or insurance policy and setting up trusts to pass things outside the estate. Using a Ladybird Deed versus Life Estate Deed versus a Trust. Avoiding Probate (with Medicaid liens attached) when the Will passes the house. When there is no Will. An enormous amount of money is lost every day in North Carolina because of a lack of estate planning or knowing who to talk to. If you’ve worked your whole life to pay for your home, you should be able to use a Ladybird Deed and not have your house sold to satisfy a Medicaid Lien. There are many ways under the law and rules of Medicaid Planning to protect or pass down money and property for yourself and your family. We even have a form whereby you can pass automobiles, mobile homes, anything with a DMV title on it outside the Probate estate. It is a North Carolina Division of Motor Vehicles form. The form number is MVR 620, and it’s called the Joint Tenants with Rights of Survivorship Affidavit. If you have a bank account or car with Joint Tenants Rights of Survivorship, when you pass away, the money in the bank account or the car becomes theirs. You may be a co-owner with your spouse, but are you a Joint Tenant with Rights of Survivorship owner on a DMV title of a car or RV? To be a Joint Tenant with Rights of Survivorship you must fill out this form. To determine what you need and your situation, we must talk. Many millions have been saved for the citizens of North Carolina using the protections here. My goal at McIntyre Elder Law is to empower you and your family and revolutionize your concepts of elder law. I’m Greg McIntyre. If you have questions about elder law, please call our number below. Or go to mcelderlaw.com/MCP and fill out the pre-qualification forms. This allows someone else to function as you during your life to make legal and financial decisions. You are literally handing them the keys to your kingdom. They can transfer your house or protect it with a deed, engage in Deed Planning, or transfer, buy, sell property for you. They also can operate your bank, investment and retirement accounts as if they were you. But people say all the time, ‘That’s okay, I’m a beneficiary on that.’ Think about this. A beneficiary on a life insurance policy has zero access to the policy itself. The beneficiary cannot call up and change the policy. It is the same for an IRA, (Individual Retirement Account). By definition, it’s an individual account, not a joint account. The beneficiary has no rights to operate that account at all. Why so important? With a General Durable Power of Attorney, when someone passes away, it ceases to exist. You can’t go to the bank and operate the bank or retirement accounts. So what document picks up? The Will. The Will names an executor, (hopefully several), but not co-executors. If I wanted my wife to handle it, but she couldn’t for whatever reason, then another trusted individual, perhaps my son would be my secondary executor. I may even have a third. Some Power of Attorney documents do not allow the Attorney in Fact to gift or move money to themselves. That could handcuff your spouse from activating a benefit or planning properly if you were incapacitated and needing long term care. That would force a spend down. With a Will, you also want substitutes for the executor, a person you trust to execute the Will under the Clerk of the court. The courts make sure the executor carries out your wishes and the money and property are distributed according to your wishes. – Wills only have power when someone passes away. To access accounts, you must probate the Will, and apply the letters of probate to be named in the executor. – People rely on Wills to pass property. If they need long term care, that could necessitate Medicaid paying for it. In that case, Medicaid liens attach during probate and force the sale of the home. That is how people lose their money and property. A Healthcare Power of Attorney needs a HIPPA designation allowing your appointee to handle your healthcare. – Do whatever you can do with regards your healthcare, including life or death, long term care and pain management decisions for you. Again, have substitutes to replace the primary if they cannot fulfill the position. Why should you have a Healthcare Power of Attorney? The Attorney in Fact must be capable of making the right decisions at the right time for the benefit of you. This way, there aren’t multiple voices giving opinions. It’s easier for healthcare providers to do their job consistently and with continuity of care if there’s only one voice to listen to. Otherwise they may have to choose between differing opinions of a brother and sister. A Living Will, (The Declaration for a Desire for a Natural Death) should clearly communicate with the Healthcare Power of Attorney. The Healthcare Power of Attorney should state, if there is conflict between your Living Will and what the designated Attorney in Fact says, the human element should win. The document should say that to avoid conflict. – There are some fill in the blanks Healthcare Power of Attorney and Living Wills, but I don’t recommend them. When you’re appointing someone to manage your life and death decisions, take time to carefully draft that document. Don’t leave blanks open to be filled in by anyone. – Many religions have specific guidelines about end of life events. You don’t want conflict here either. Example: A Catholic Living Will should be written differently than a generic Living Will. You want the eucharist and last rites performed. You also want it clear when to with-hold live saving procedures and why, so to avoid complications with suicide. By drafting these documents individually, you consider who the person is and their beliefs. I believe a General Durable Power of Attorney is the must have while you’re alive, but I suggest having all four foundational documents in place. Elder Law Report Unplugged -Today we did a tour at the VFW Post 4066 in Shelby, NC with Commander Gene Ramsey. Their mission is to promote community involvement, communication and financial support to qualified military service members and others in the community. WHAT A GREAT ORGANIZATION TO BE APART OF! 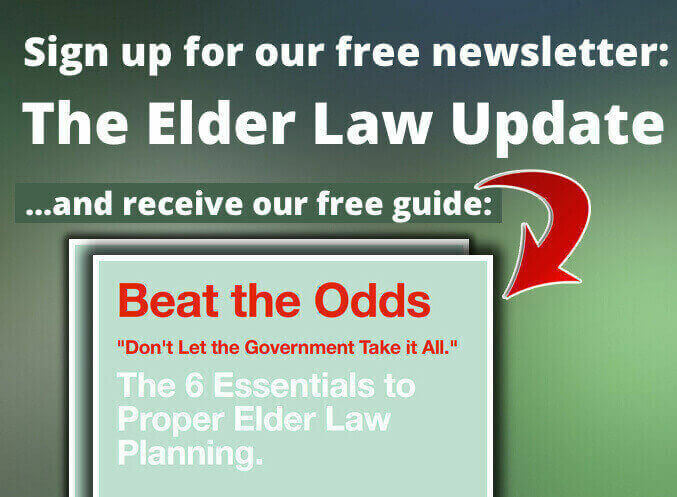 Elder Law Report Unplugged: The Elephant in the room. Stoked! We have 40+k listeners on our podcast. Thank you to everyone out there listening. Elder Law Report Unplugged – We had special guest, Kenny Rogers a.k.a Tim Sells, this morning on the Elder Law Report Unplugged. Tim talks about how he became Kenny Rogers and all of adventures and travel that becoming Nearly Kenny has provided for Mr. Sells. What an awesome show! Planning for life’s big moments. I’ve had a really big “Life Event” happen. Did I plan for it? How can I plan better in the future?